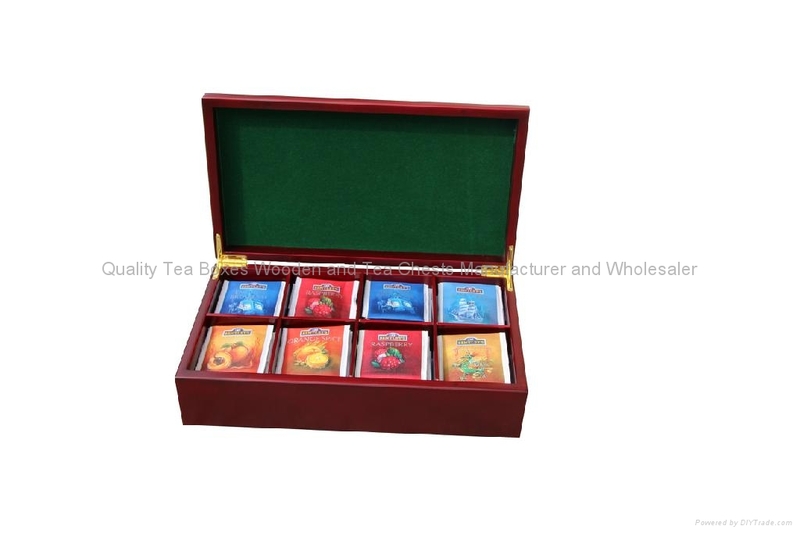 This 8 compartment tea chest is a durable, timeless piece in a cherry type finish. 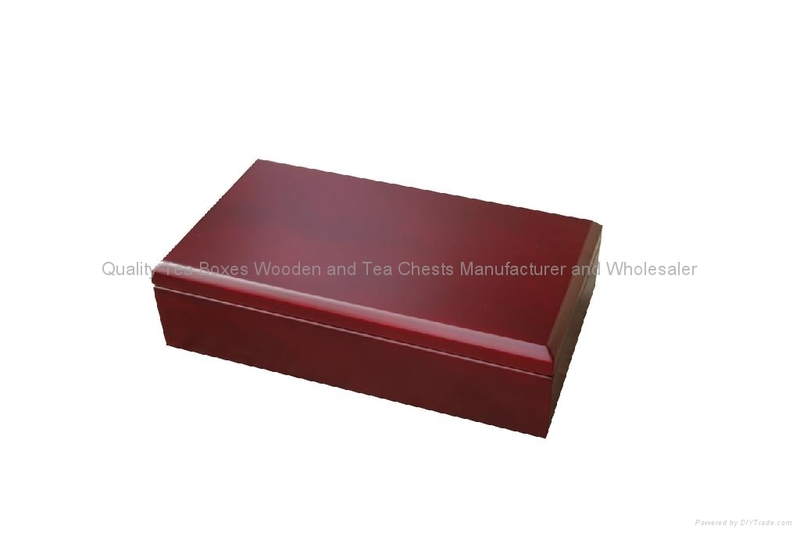 These rich, cherry-colored tea chests have felt lining on the inside with removable slotted partitions for easy cleaning. This beautiful wooden tea chest with 8 compartments will hold 96 tea bags. The back of each compartment can be slightly slanted for your tea bags to stand up for easy viewing and handling. Finished with matching felt on the inside lid and bottom, this tea box is one of the most elegant we have created! 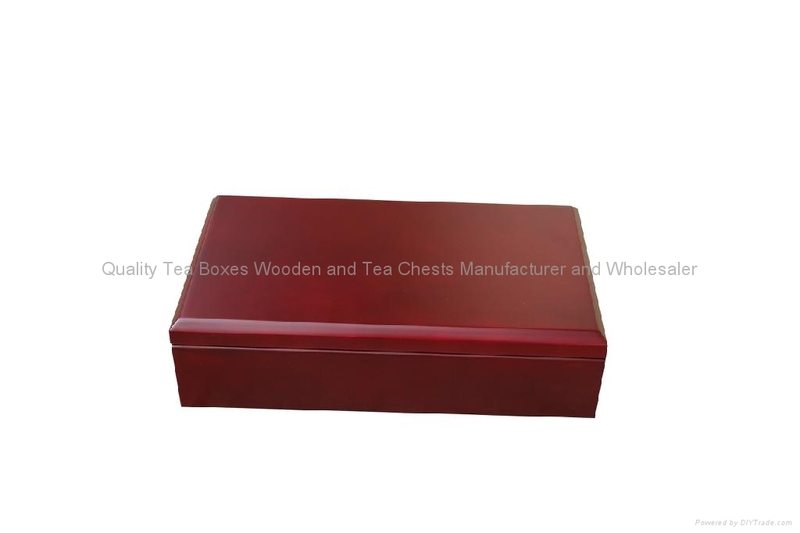 We take great pride in manufacturing the highest quality, custom made tea wooden boxes and tea chests & boxes wooden for each and every customer. We have the skilled workforce and expertise required to meet any and all of your wooden box needs.